HTC has announced the Butterfly S, the follow-up to the HTC J Butterfly launched last year, which boasted one of the world’s first 5-inch 1080p displays, and later spawned the Verizon-only Droid DNA. The HTC Butterfly S has been revealed at a press event in Taiwan, and as expected, it’s a warmed over version of its predecessor. The standout feature on the original Butterfly was the 5-inch, 1920 x 1080 pixel resolution screen, and HTC has fitted a panel with the same specifications to the Butterfly S. Early reports from the event haven’t indicated there is any difference between the two, so we should expect it to be another Super LCD3 touchscreen covered in Gorilla Glass. Providing the power is a 1.9GHz Qualcomm Snapdragon processor, along with 2GB of RAM, which not only means it’s more powerful than the Butterfly, but the HTC One as well. Where it doesn’t differ from the One is with its camera, as HTC has fitted the same UltraPixel camera to the Butterfly S, plus there is a 2.1-megapixel, wide-angle video call lens above the screen. 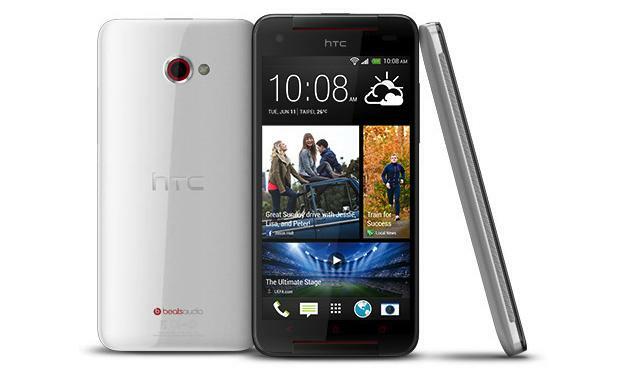 HTC has also fitted its BoomSound amplifier, stereo speakers and Beats Audio enhancements. Android 4.2 Jelly Bean is installed as standard, with HTC Sense 5 placed over the top. This means BlinkFeed dominates the home screen, while the HTC Zoe and HTC Share software is ready when you open up the camera. Other features include 16GB of storage space, a microSD card slot, NFC, Bluetooth 4.0, and a big 3200mAh battery. This is a considerable upgrade over the 2020mAh battery found inside the Butterfly/Droid DNA, but it does mean the Butterfly S is now 20 grams heavier than before at 160 grams, and 1.5mm thicker. The Butterfly S will go on sale in Taiwan this July, where it will cost the equivalent of $765. So, does the Butterfly S’s announcement mean a Droid DNA 2 will be coming soon? HTC certainly hasn’t said anything about it, but there’s no good reason why the Butterfly S shouldn’t be released elsewhere in the future, particularly given the popularity of big-screen phones with Full HD displays. It took HTC a little less than a month to announce the Droid DNA following the J Butterfly’s launch last year, so let’s see what July brings.